Sugiyama Ski & Snowsports School was established in the Maruike area of Shiga Kogen (Nagano Prefecture) back in 1965. Since then we have been offering quality lessons for all levels of skiers and snowboarders in Shiga Kogen. Sugiyama Ski & Snowsports School has an experienced team of local and international ski and snowboard instructors who are dedicated to providing you with the best instruction. We offer a broad range of programs and services, tailor made for all ages and levels of ability. Please contact us or view or website for more information and details. Whether you are interested in group lessons or private lessons, our experienced instructors can help you hone your skills and have a great day on the mountain. Please contact us to discuss what might be best for you. Shiga kogen is the largest and most extensive interconnected ski area throughout all of Japan. Shiga Kogen offers a huge 21 interconnected ski resorts, all accessed on the one lift pass called the ‘Super Pass’. We offer ski and snowboard rental for those without equipment or looking to try out different skis and snowboards. The school is located in the Okushiga Kogen area of Shiga Kogen in northern Nagano. 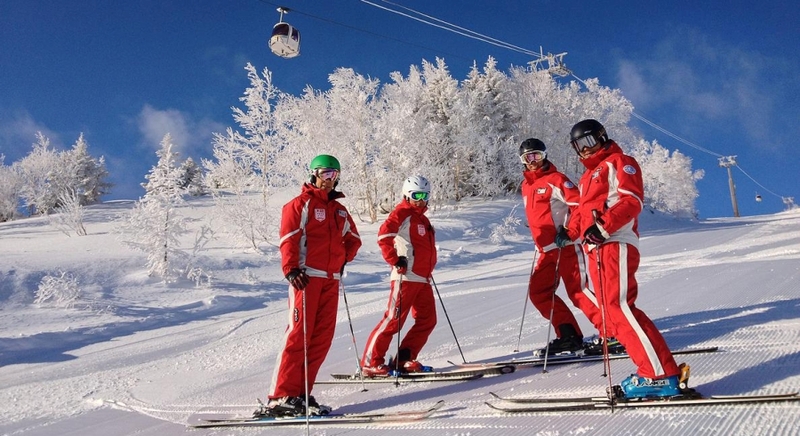 More access information can be found on the Sugiyama Ski & Snowsports School website.